The Gaurs have struggled to score goals and have just one point from four games. 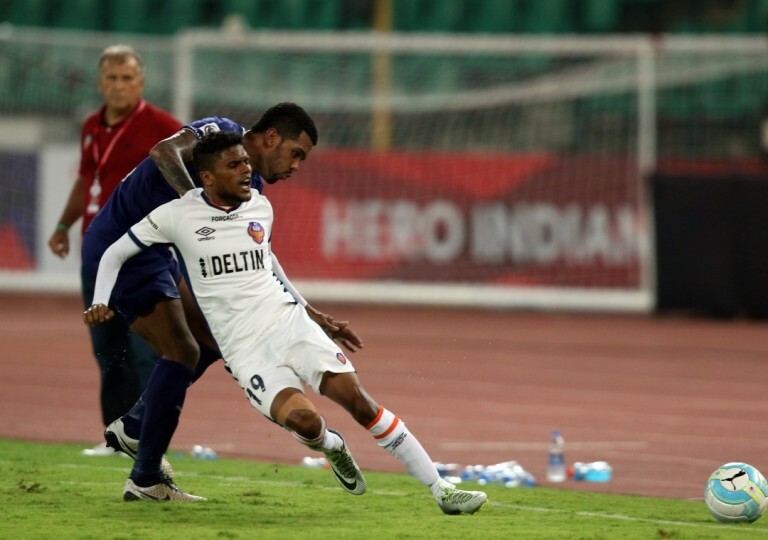 FC Goa’s performance at the start of the first season of the Indian Super League was not so good, but the unbeaten run in the second half of the campaign raised them to the 2nd spot in the league table as they qualified for the play-offs. 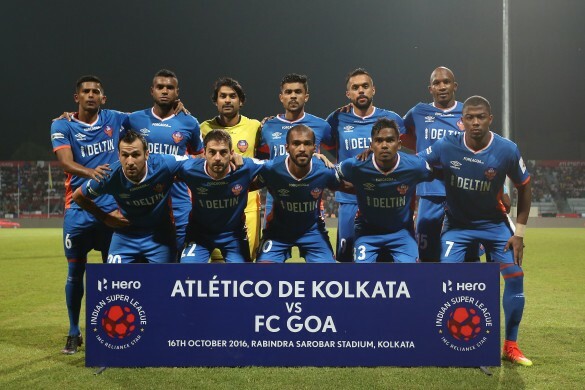 However, they lost out in the semi-final against Atletico de Kolkata. While last season they went one better when they reached the Final, topping the league phase with 25 points, scoring the highest 29 goals in the league stage. But, the Goan side missed out on the top prize as they lost 2-3 to Chennnaiyin FC. Fans of the club were expecting them to lift the big prize this season, but they have started off at the wrong end of the table. Though they have played some good attacking football and were successful in avoiding a defeat in the last away match against Atletico de Kolkata, as the match ended in a 1-1 draw. The team are yet to register their first win having lost their opening three games against NorthEast United, FC Pune City and Chennaiyin FC, before securing a point against ATK last time out. In the first two matches, the Goan team managed 13 shots on target but scored only one goal. Then they were totally outclassed by Chennai. Even in the draw against Kolkata they hardly looked like scoring a goal before Jofre brought them level from the penalty spot against the run of play. According to FC Goa manager Zico, the reason behind the failure to retain key players from last season was the delay in renewal of their contracts as the Goan franchise was serving a penalty because of their boycott of last season’s presentation ceremony after defeat in the Final. But, it is very clear that boardroom disharmony was at the root of the franchise’s mismanagement in the lead up to the new season. When former I-League clubs Dempo and Salgaocar pulled out of India’s top flight following disputes with the All India Football Federation, they also withdrew their stakes in in the ISL franchise and took with them the team’s entire management as well as a reliable supply of Indian players from the two clubs. This led FCG to waste time in recruiting a whole new management and hence they lost out on valuable talent and time in the transfer market. Thus, not only were they unable to retain their influential players from the first two seasons, but when they eventually got down to business they were left to feed off scraps as most of the quality local players had already been engaged. 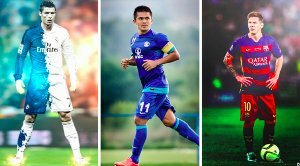 FC Goa have a total eight Brazilian players in the squad, which includes heavyweight names like Lucio, Reinaldo and Julio Cesar. The 20-year-old Matheus Trindade Goncalves and Rafael Dumas are two of the very best signings for the Goan side so far, as both have proved themselves in the first four matches. Zico’s side have conceded seven goals and scored only twice. A goal against FC Pune City came from Rafael Coelho, apart from that goal, the Brazilian striker has failed to impress so far. 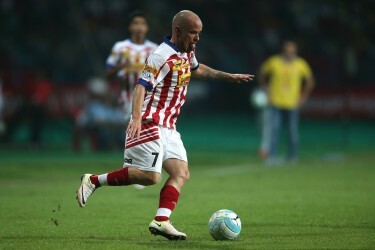 While the second goal came from Jofre who scored from the penalty against ATK. The Spanish midfielder has been a rare bright spark for the Goans in what has been a disappointing campaign so far. Mandar Rao Desai was one of the stars for FC Goa last season. 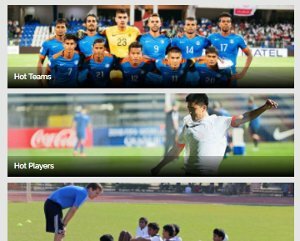 Coming to the Indian players, FC Goa still has the services of last two seasons’ stars Mandar Rao Dessai and Romeo Fernandes. But the duo has failed to come to the party this season, greatly affecting the balance of the team. Last season’s star goalkeeper Laxmikant Kattimani has not been at his best. It was his mistake in the first match against NEUFC where he failed to clear an easy back pass from Lucio and conceded the opening goal of the season for FC Goa. Almost predictably, from that moment on the Gaurs have continued to be in free fall. Even in the second match against FC Pune City the Goan custodian was not up to the mark and made many mistakes. His overall performance in the first three matches has been below par. First, Kattimani did not have much competition for the place between the sticks as Subhasish Chowdhury was sidelined because of injury, while Sukhdev Patil is too young and green to replace him. But Chowdhury was exceptional in the last match and made some excellent saves to confirm at least a point against Atletico de Kolkata. This means Zico is likely to continue with him in the upcoming matches. Zico’s team are missing someone who can act as the link between midfield and attack like Leo Moura, whose brilliant performance last season helped them to reach the Final. However, this time around the Brazilian attacking midfielder was not released by his parent club Santa Cruz Futebol Clube. FC Goa have missed the creativity of Jonatan Lucca in midfield. 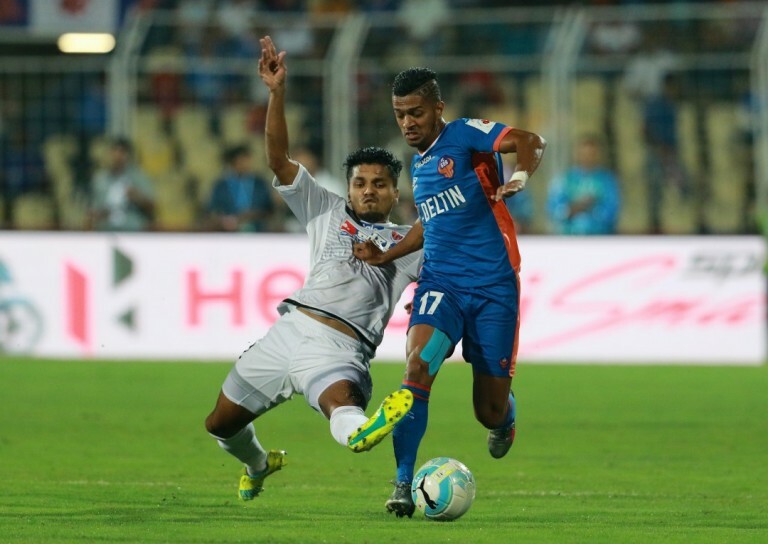 FC Goa also failed to re-sign players like Pronay Halder, Bikramjit Singh, Thongkhosiem Haokip and Narayan Das, who were part of Zico’s core group and were regular starters in their time at FCG. They also lost one more star player in Jonatan Lucca. The midfielder’s outstanding performance against Goa for the Stallions was a demonstration of his ability and the kind of quality the Gaurs were missing. With most of the key players already signed by other clubs, FC Goa were left with few options having to recruit raw talents like Sahil Tavora and Sanjay Balmuchu, who were surprise additions to the squad. Tavora was out of action for almost a full season and had not played a single match before signing for the Goan club. While Balmuchu was rarely seen in Mohun Bagan colours in the last I-League campaign. Goa have also signed forward Robin Singh, who was out of action for almost nine months after the striker was injured in the 2015 SAFF CUP tie against Sri Lanka. The India International started in the last match against ATK, but was a peripheral figure for most of the game and still seemed to lack match fitness. Interestingly, the likes of Pratesh Shirodkar who played a crucial role in the midfield for Sporting Clube de Goa as they avoided relegation from the I-League last season is yet to get a chance in Zico’s starting XI. Finally, it comes down to Zico’s role in the team. The Brazilian legend let out a tirade after the draw against ATK in which both sides were reduced to 10 men, blaming the poor standards of refereeing and the ISL for mistreating his team. But, in fact the former World Cup-winner would do well to take a look at himself. When everybody was leaving FC Goa, including owners, management and players, he was the one constant that had been with the club through three seasons. Hence, it was his duty to act as the father figure and to unify the team in adversity. But the 63-year-old Brazilian instead chose to be stubborn saying, “I am not going to change my philosophy” after a defeat against NEUFC in the first match. Zico must adapt his philosophy to get the best out of his squad. In the match against FC Pune City the tactician introduced an attacking 3-4-3 formation, which was a radical shift from the tried and tested 3-5-2 that worked so successfully last season. Zico was obviously hoping to overpower his opposition in attack by playing three forwards. But, he failed to consider that his squad does not possess the attributes to implement the 3-4-3 successfully. Veteran forward Reinaldo lacks pace upfront, while the change in shape also meant Rao Desai had to be deployed as a left winger. In the event, the Goans battered their opposition, but still lost 1-2. 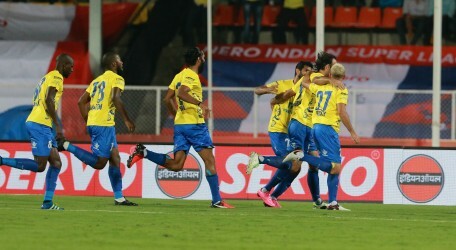 While in the match against last season’s champions Chennaiyin FC he introduced the inexperienced Tavora into the starting XI, resulting in a hole in the midfield. Taking advantage of the same, Chennai scored two quick goals in the first half and by the time Goa found heir rhythm after the break the hosts were more than happy to keep their lead. Zico needs to understand that while it is good for a team to have its own unique philosophy, the greatness of a manager is determined by his ability to adapt and find ways of getting the best out of the players at his disposal. By refusing to compromise on his principles even in the short term, the FCG head honcho has sacrificed points, when, in a compressed league like the ISL, it is not so much the playing style but the results that matter. He must consider the situation of the team, including the individual capabilities of the players while determining the most suitable tactics against different opposition. Where they go from here? However, all is not yet lost as the table still remains tight with no team cut adrift. The race for the play-offs is still wide open, but to make the top four the Brazilian must forego his ideals and adopt a more pragmatic approach to start winning games. At least six points from the next available nine will be enough to propel the Gaurs up the table. From there it will be a lot easier for the Brazilian coach as his squad is starting to return to full fitness. Like the first season, this time too FC Goa have most of their key games at home in the second half of the league phase and with a full complement of players to choose from. the side is still capable of stringing together a sequence of wins at the business end of the season, if they can get on a roll. However, before they can start to swim they must find a way to remain afloat and quick fixes are needed, as at this point the team looks shone of confidence and devoid of ideas. As such, if the players on the pitch are to find their feet, leadership must first come from their manager on the sidelines. Editorial by Khel Now Correspondent Ravish Narvekar from Goa . A true Football enthusiast & a die hard Liverpool fan. Ravish also enjoys travelling & he's an avid foodie.